NetSuite OneWorld delivers real-time global business management and financial consolidation to both mid-sized companies and divisions of enterprises that manage multinational and multi-subsidiary operations—at a fraction of the cost of traditional on-premise ERP solutions. NetSuite is used by more than 10,000 corporate headquarters and subsidiaries worldwide, and NetSuite OneWorld is the ERP solution of choice at some of the world’s largest, most successful and fastest-growing companies. With NetSuite OneWorld, companies can easily manage multiple subsidiaries, business units and legal entities all from a single cloud-based ERP system, while seamlessly handling different currencies, taxation rules and reporting requirements. As the world’s most complete cloud ERP solution, comprising accounting/ERP, customer relationship management (CRM), ecommerce and professional services automation (PSA), NetSuite OneWorld enables global businesses to align operations across finance, sales and service. NetSuite OneWorld addresses the complex multinational and multicompany needs of organizations. It enables businesses to adjust for currency, taxation and legal compliance differences at the local level, with regional and global business consolidation and roll-up. Get unprecedented visibility of your business worldwide in real time, ensuring consistent, compliant management across the organization, locally and globally. Manage inventory and fulfillment across multiple locations with product items represented globally or by each subsidiary. NetSuite OneWorld Ecommerce provides critical capabilities for driving growth in global ecommerce channels. It helps streamline and automate business operations to meet multi-site, multi-currency, multi-language, local tax compliance and local inventory sourcing requirements. With NetSuite OneWorld Ecommerce, B2B and B2C companies can easily manage multiple webstores for different subsidiaries or divisions, with different product lines, items, pricing, look-and-feel, and branding—all within the same NetSuite OneWorld instance. In addition, NetSuite OneWorld Ecommerce provides businesses with a real-time consolidated view of ecommerce sales across subsidiaries, countries, regions or globally, allowing analysis of channel and regional sales trends. Cloud-based solution provides the flexibility and adaptability needed to keep up with the pace of business, reduce operational costs, increase efficiencies and eliminate the hassles of managing hardware and software.. Unlimited flexibility enables B2C sites to deliver the engaging and personalized experiences consumers expect, while B2B sites can offer a rich B2C-like customer experience with added functionality to support unique requirements of business users. Provide a superior in-store experience while streamlining the transaction process with a modern POS that enables you to accommodate omnichannel expectations and build customer loyalty. Process orders faster, increase customer satisfaction, and lower operational costs by enabling a “buy anywhere, fulfill anywhere” experience with real-time inventory visibility across all locations, including stores. Consolidate and manage all structured and unstructured product information and attributes across all channels in one location. Used in over 110 countries with support for the most widely used languages, NetSuite’s ‘out-of-the-cloud’ comprehensive indirect tax management and reporting capabilities cover over 90% of Global Gross Domestic Product (GDP) ensuring your business system is ready to handle your international footprint wherever your company operates. 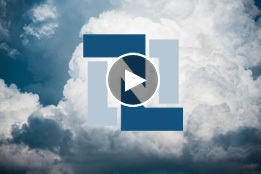 As the world’s #1 global cloud ERP, NetSuite OneWorld’s tax and compliance management capabilities provides a robust foundation for transparency, automation, simplicity and controls in the management of your global tax and compliance responsibilities, enabling you to grow your business globally with confidence. NetSuite Electronic Payment Processing puts the payments or direct debits into each bank’s predefined file format ready to import into banking software or submit to the bank online, lowering payment processing expenses, postage and envelope costs, and saving time too.